Vitamin C or Vitamin See? We've always been told to eat our carrots because the vitamin A because "it's good for your eyes". 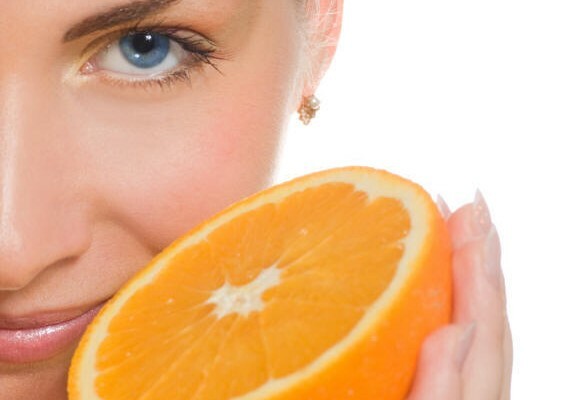 New research shows that vitamin C can help protect our vision as well, by slowing the progression of cataracts. You can take a daily supplement or enjoy any of the many foods rich in vitamin C. We all know about citrus fruits, but did you know that guava has one of the highest concentrations of vitamin C? Kale and other green, leafy vegetables, broccoli, yellow peppers, berries, and kiwi also have high levels of vitamin C.
Our favorite way to enjoy vitamin C? A smoothie of course!